Welcome to E & F Warehouse and Trucking! 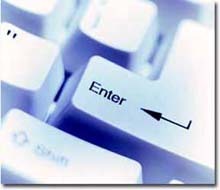 E & F has committed itself to staying current in the advancing world of technology. Their clients can view their real-time inventories, create outbound orders and scan incoming and outgoing shipments via a program called Netview. In addition, E&F had the ability to set up EDI interfaces to enhance accuracy and productivity. E & F has installed state of the art surveillance cameras to ensure our customers’ merchandise is safe and secure as well as a scanning system called Speedscan that provides proof of delivery system over the Internet within 24 hours. Our ultimate goal is to provide our customers with the technology required to reduce their costs and increase productivity.